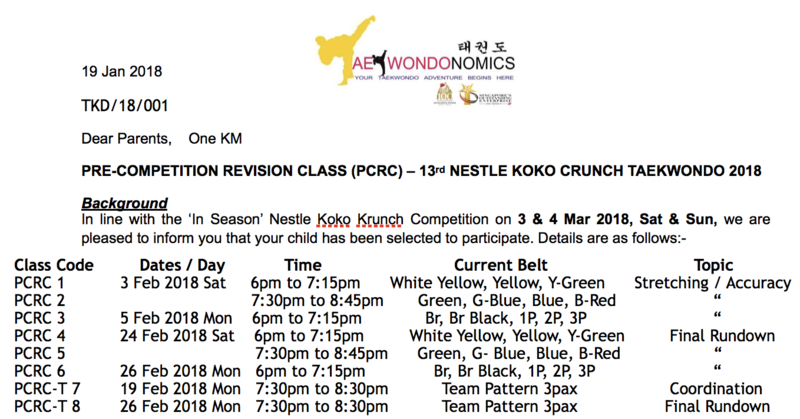 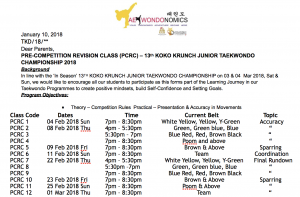 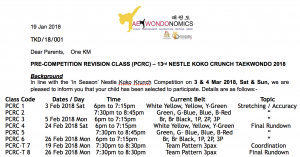 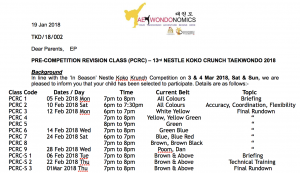 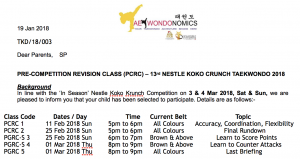 Listed below are the Pre-Competition Revision Class (PCRC) schedules and details. 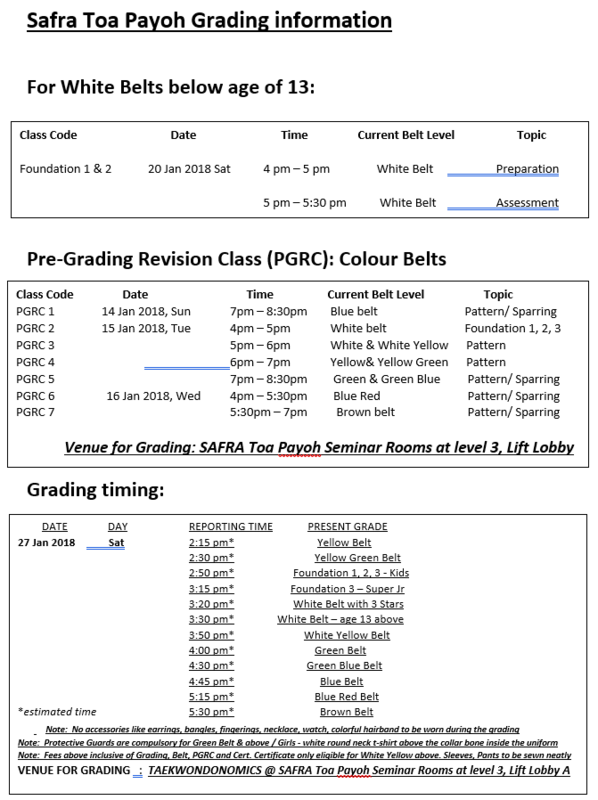 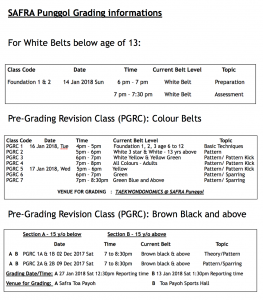 This is the essential information for SAFRA Punggol branch, in regards to the upcoming grading this 27th of January 2018. 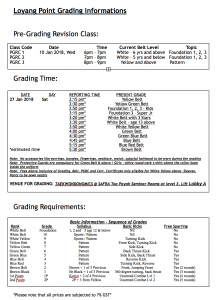 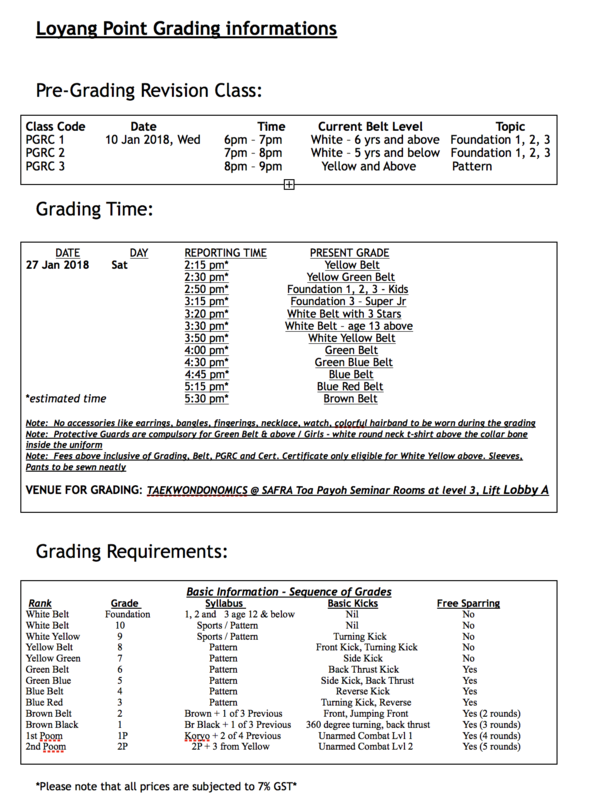 This is the essential information for Loyang Point branch, in regards to the upcoming grading this 27th of January 2018. 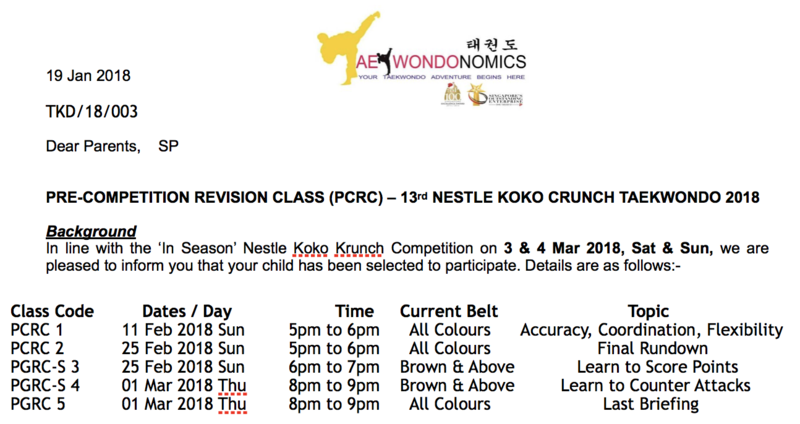 First Korea Trip of the year! 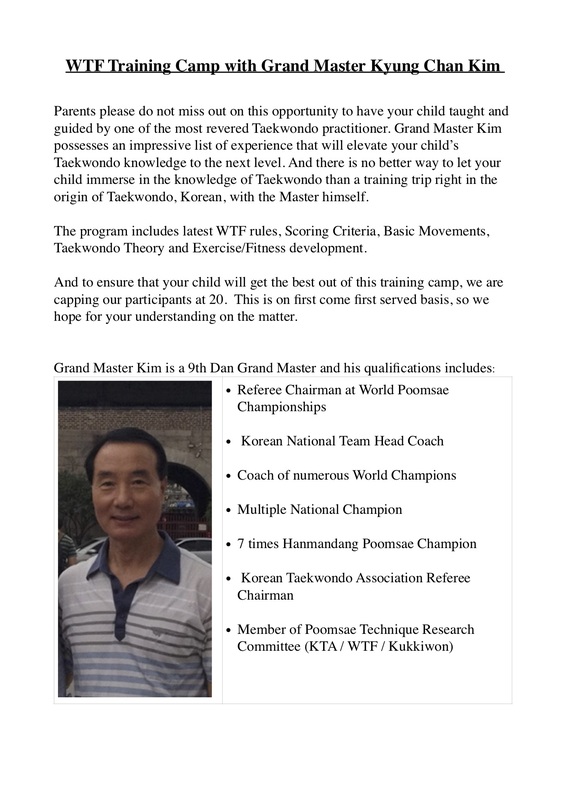 This is a short summary of our exciting trip to Korea this year! 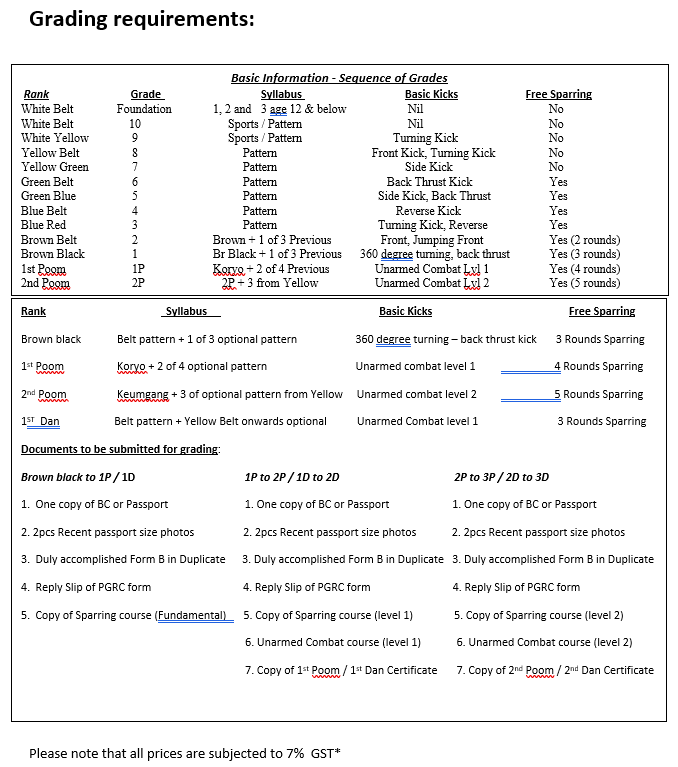 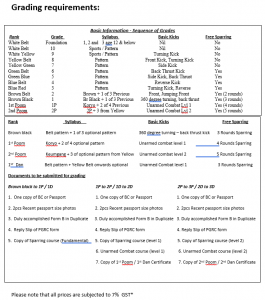 For the detailed itinerary please open the PDF link attached at the end of the page! 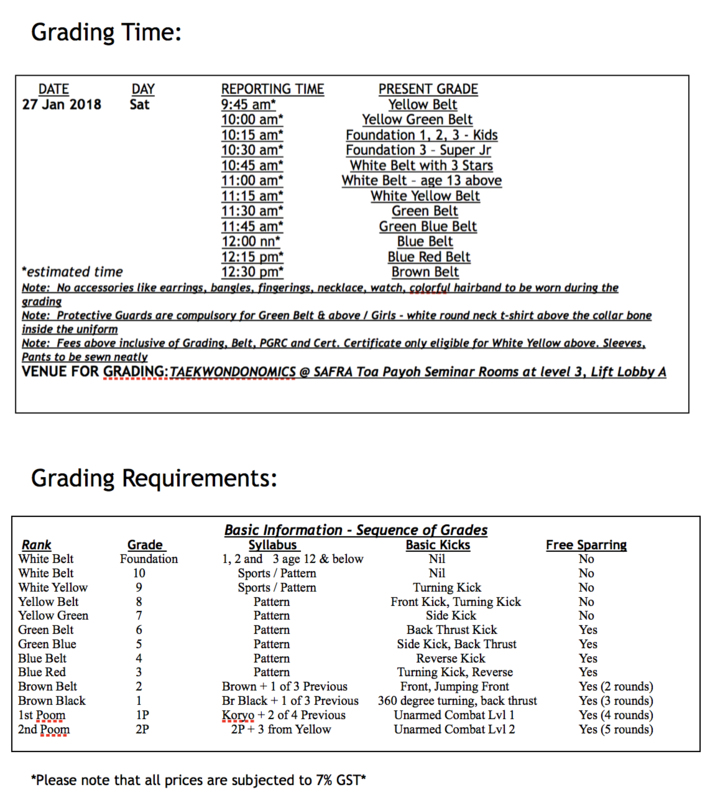 students and their families only. 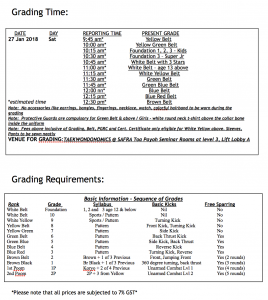 and to experience training in a different environment. Best of all, parents are welcome to participate in training! 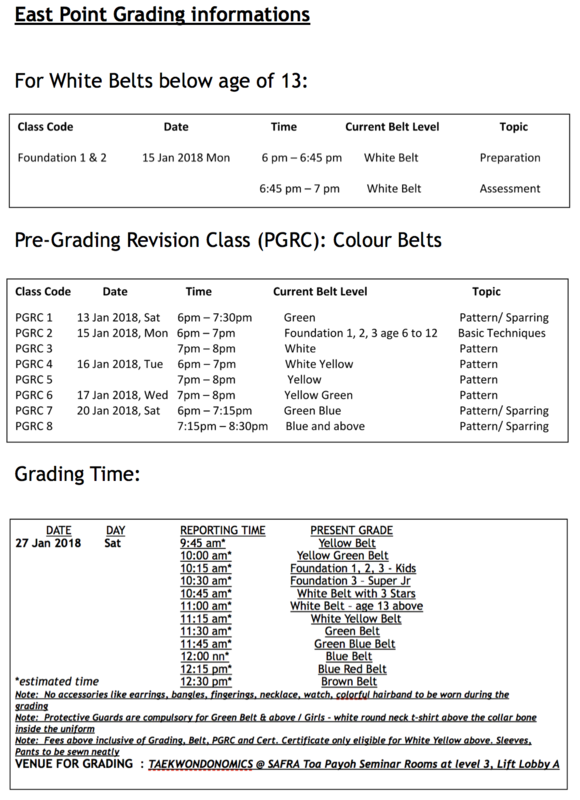 31 Jan 2018 (Wed). 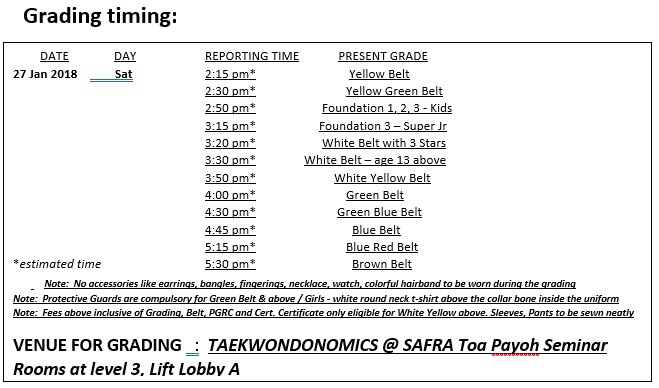 Seats will be RESERVED on a first-come-first served basis! 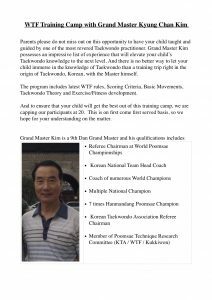 Here is also a short introduction to Grand Master Kim of our Taekwondo Training Camp! 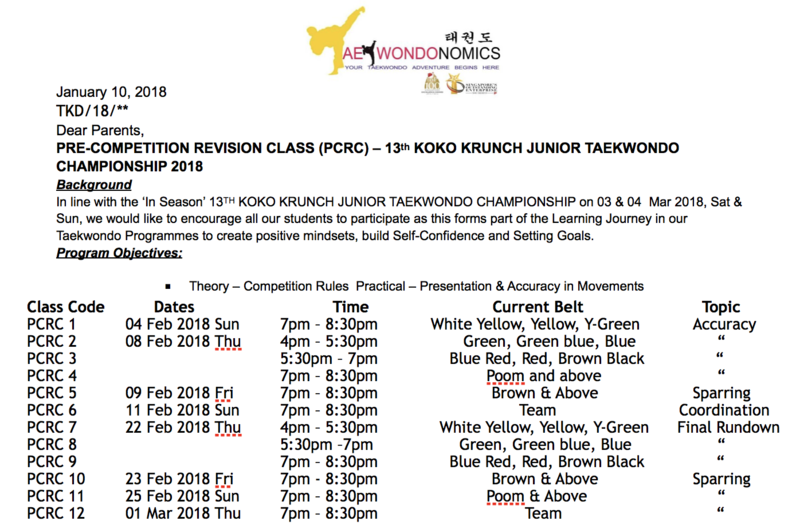 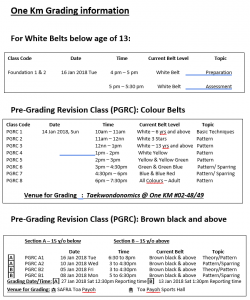 http://taekwondonomics.sg/wp-content/uploads/2016/11/cropped-nomicsoriginal-1-e1478509404135.png 0 0 admin http://taekwondonomics.sg/wp-content/uploads/2016/11/cropped-nomicsoriginal-1-e1478509404135.png admin2018-01-18 16:47:092018-01-22 19:50:27First Korea Trip of the year! 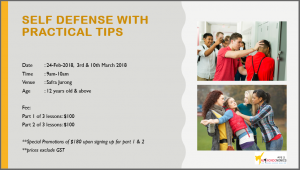 Don’t miss out on our up coming seminar on self defense for practical use. 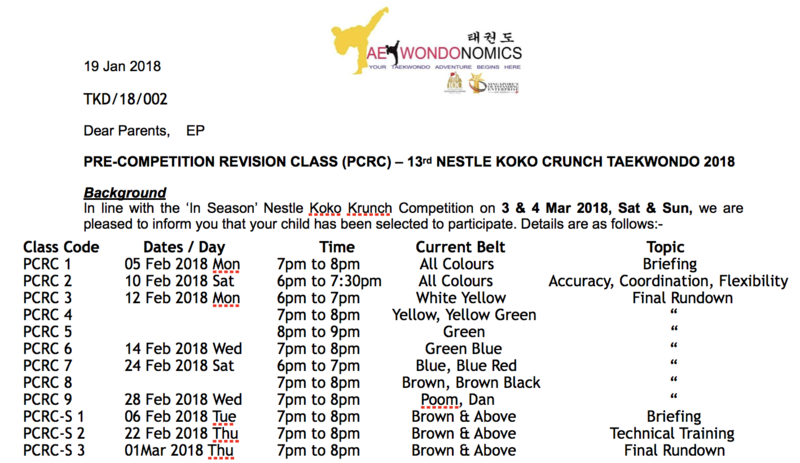 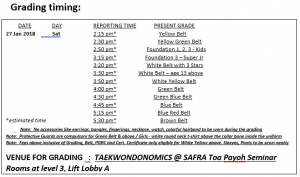 Please contact us at enquiries.taekwondonomics@gmail.com to secure a spot for yourself! 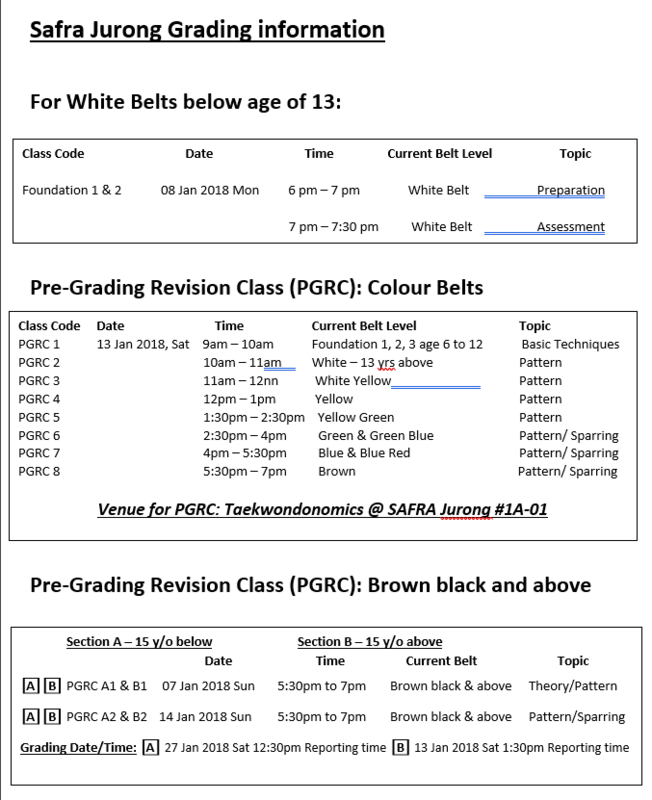 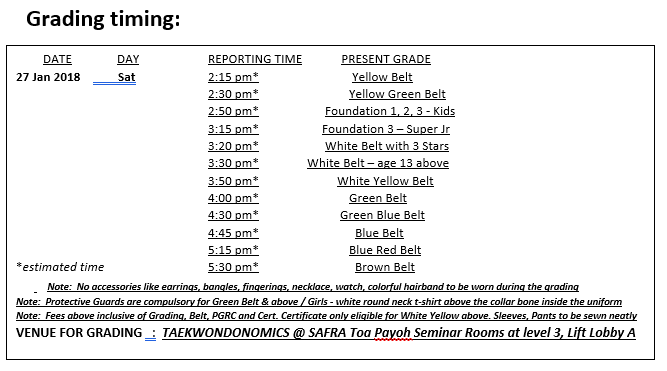 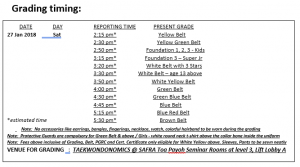 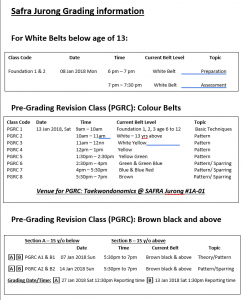 This is the essential information for Safra Toa Payoh branch, in regards to the upcoming grading this 27th of January 2018. 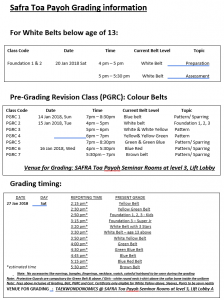 This is the essential information for Safra Jurong branch, in regards to the upcoming grading this 27th of January 2018. 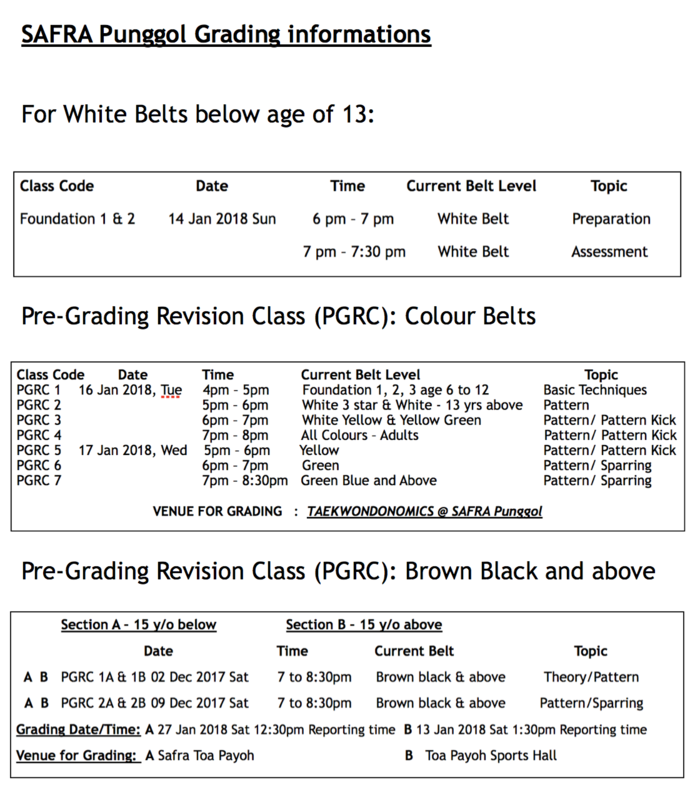 This is the essential information for East Point branch, in regards to the upcoming grading this 27th of January 2018. 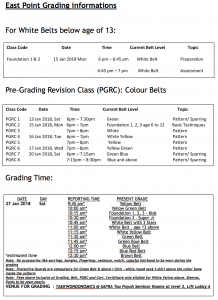 This is the essential information for 1KM branch, in regards to the upcoming grading this 27th of January 2018.